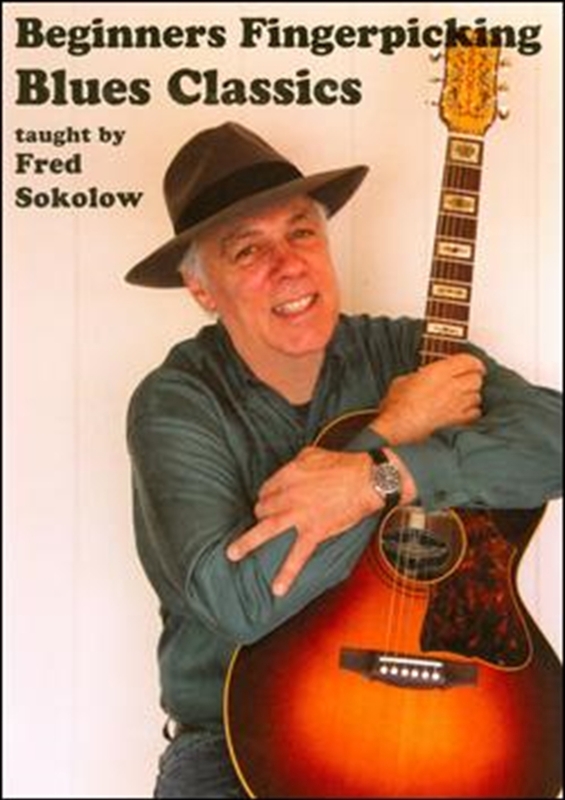 In this instructional DVD, Fred teaches you how to fingerpick eight all-time blues classics. Most of them come from the old school of blues performers like Memphis Minnie, Big Bill Broonzy, Mance Lipscomb and Bessie Smith, but there are also a few songs from urban R&B artists like Louis Jordan and Charles Brown. Every tune is a standard that has been covered by countless artists; you’ll find out where Led Zeppelin got When the Levee Breaks, and what Come Back Baby sounded like before Ray Charles jazzed it up. You'll also appreciate the variety of sounds encompassed by the term "blues." Fred shows you how to accompany yourself singing the songs, and how to fingerpick an instrumental version of each one. His easy-going instructional style, his tips on playing the arrangements, and his slowed-down, split-screen performances of each tune make learning easy. All the arrangements are written out in tab and music as well... both the backup and solos. Songs include: Come Back Baby, When the Levee Breaks, Saint James Infirmary Blues, In the Evening When the Sun Goes Down, A Good Man Is Hard to Find, Oh Daddy, Let the Good Times Roll and Black Night.